After the beginning of World War II, in January 1942 the anti-Semitic policies of Nazi Germany plunged in the horror with the launch of the so-called ‘Final Solution to the Jewish Problem’, which would put the camps to a new use, all the more terrifying. In few words, the Nazi leaders gathered at the Wannsee Conference decreed the annihilation, without further ado, of every Jewish man, woman or child still alive in the occupied Europe. This terrible culmination of Nazism involved wiping the Hebrew people, the greatest ‘foe’ of the German nation, off the face of the earth and remove any trace of their contribution to the history of humanity. They almost achieved their goal. Pictures stolen from the prisoners in Auschwitz, shown today to visitors in the Auschwitz-Birkenau State Museum. © Paweł Sawicki. In the beginning of the Holocaust, the most commonly used methods to kill almost 800,000 Jews and Polish prisoners of war were mass shooting and gas vans, but they were soon replaced by a cheaper, more anonymous and more efficient procedure–the death camps and gas chambers located in occupied Poland. The Auschwitz-Birkenau extermination camp was undoubtedly the key instrument to reach their goal, because both of its size and its strategic location on the confluence of the main railway routes of the Third Reich. It was in this ‘death factory’, run with an iron fist by its Kommandant Rudolf Höß, where a greatest number of Jews and also Roma, above all, were sent to die in the gas chambers under the promise of a comforting hot shower. 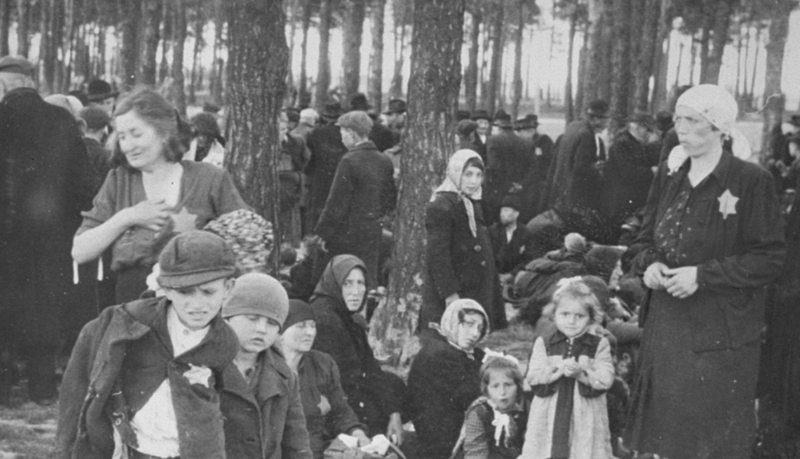 Left–Group of children and women waiting in the woods next to the crematorium, not knowing they would soon be sent to the gas chambers. © Yad Vashem. 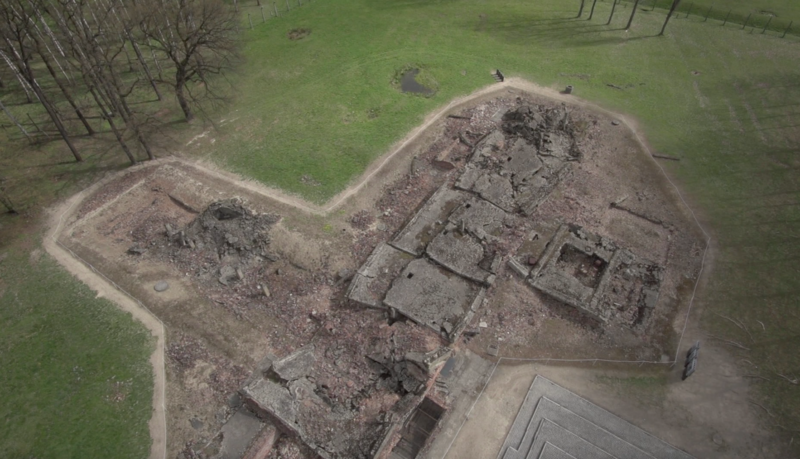 Right–Current appearance of the remains of one of the gas chambers in Auschwitz. The Auschwitz-Birkenau concentration camp had four crematoria where the SS made their own prisoners (those assigned to the Sonderkommandos) to burn the bodies of hundreds of thousands of their comrades in order to hide the evidences of the massacre. During the most intense periods in the camp, the cremation capacity of the ovens was of 10,000 people a day. More than six million Jews were murdered during the Shoah as part of a comprehensive plan of Aryanization of the German society. Two thirds of the European Jews disappeared forever.